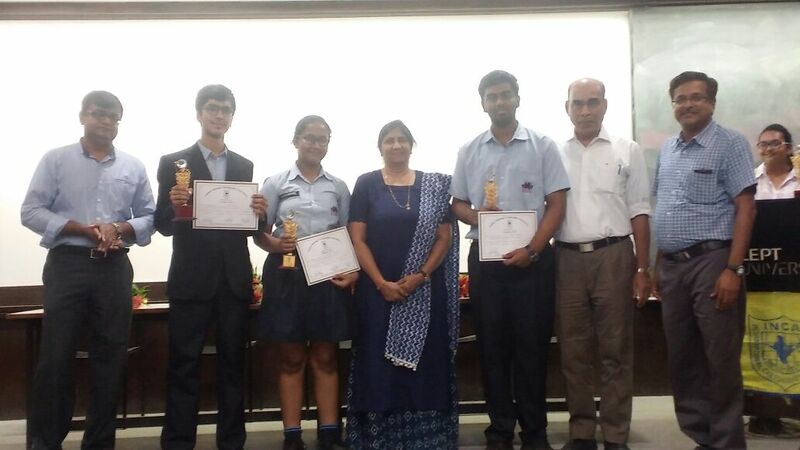 Team A consisting of Dhirej Dhighe (X), Kartik Nagar (X) and Harshit Nalkar (X) won First Prize in INCA Map Quiz competition while Team B consisting of Shrik Tamarisha (X) , Epshita Chakraborty (X) and Aum Hirani (X) won Third Prize at state Level. They will now go for Nationals. Our School recevied trophy for over all best performance. Congratulations to all.